Last week, Belarusian officials made an unprecedented series of statements in support of Belarusian language and culture. One after another, the President, information and education ministers and the Chairman of Constitutional Court spoke up on the issue at prominent events and venues. Their statements may indicate a revision of previously held ideological premises. In the past, ruling elites expressed little interest in the national language, preferring instead to downplay the distinctiveness of Belarusians. These latest remarks made by officials in Minsk angered Russian chauvinist quarters, among them a major news agency Regnum and leading Russian experts on Belarusian and Ukrainian affairs. Although trying not to antagonise Moscow per se, Minsk feels it necessary to strengthen the foundations of its own national independence. And the government is doing so in a logical way – by resorting to the politically powerful tools of national language and culture. At the same time, it takes those very instruments out of the hands of opposition which has monopolised these issues for the past two decades. Information Minister Liliya Ananich started the recent flurry of statements in support of the Belarusian language. She complained on 19 January that many periodicals registered as bilingual (Belarusian/Russian) were "unjustifiably" using only Russian. The chairman of the Constitutional Court Piotr Miklashevich, speaking in the Belarusian parliament on Tuesday, announced that the legislative acts concerning the rights and freedoms of citizens should be published in both Belarusian and Russian. He reminded parliament that, “our Constitution guarantees the equality of the two languages”. Miklashevich's predecessor as the Chairman of Constitutional Court, Ryhor Vasilevich, also urged the use of Belarusian in 2007, yet he did it in an informal way at a low-level seminar. On Wednesday, newly appointed Education Minister Mikhail Zhuraukou said that his Ministry wanted the geography and history of Belarus to taught in schools in Belarusian. “The children will incrementally come to a point where they will wish to learn half or more than half of all their subjects at secondary school in Belarusian.” Concurrently, added the minister, the universities should introduce more Belarusian-taught courses in their curricula. Things have changed in recent years. In 2014, Lukashenka repeatedly criticised the language imbalance and expressed concern over the sad state of the Belarusian language. Thus, during two separate conferences of teachers and writers, Lukashenka addressed the crowds with a proposal to add one more hour of Belarusian language and literature into the weekly curriculum of Belarusian schools. This change in the mindset of Belarusian officials has led to a decidely negative reaction from Russian chauvinist elements in Russia's mainstream media, academy and think tanks. Russian right-wing news agency Regnum claimed that the "Minister of Education of Byelorussia […] announced that teaching history and geography in Russian language in schools would be prohibited." New-born star in the realm of Russian propaganda, deputy director of the Centre of Ukrainian and Belarusian studies at Moscow State University Bohdan Bespalko said, "It is sad that Belarus is pursuing an anti-Russian course. The government of this republic is going the way of nationalism in the Ukrainian style." He is able to make a good case in Moscow because he can refer to his personal experience. Baranchik served in key government institutions in Belarus. In 1996-2007, he worked in the Ministry of Education, the Presidential Administration, the Foreign Ministry and the Academy of Public Administration under the aegis of the President of the Republic of Belarus. As Belarusian ruling elites increasingly began emphasising national independence, Baranchik was forced to move farther away from the centres of power, e.g., leaving the position in the omnipotent Presidential Administration for a second-rate think tank. Ultimately, he left the state service. The last step was Baranchik's emigration to Moscow and taking his project Imperiya with him to the Russian Internet. A similar fate has befallen another Russian nationalist in Belarus, Andrei Herashchanka. The latter lost his job in the state administration in Vitsebsk after making scandalous remarks about Belarus. A Language's Absence: Whom To Blame? Still, despite the recent proclamations by senior officials, one encounters little Belarusian language in state usage today. This is mostly the result of many years of neglect. There a number of issues that the state will need to contend with. First, the introduction of Belarusian into state agencies presents a significant technical challenge. Thus, the chairman of the Constitutional Court demands for the bilingual publication of legislation emphasised that if the laws were available in both languages, then court proceedings could be done in Belarusian. Second, Belarusians themselves exhibit a cautious attitude in turning to their native language. For example, the media frequently laments over the lack of opportunities for getting an education in Belarusian. And yet, the lack of willingness on the part of parents to send their children to the classes taught in Belarusian may be an even bigger problem. Thus, in the Western Belarusian city of Baranavichy since 2010 there has existed only one class where the children have been taught in Belarusian. 173,000 people live in this city, but since the class was established it has consisted of only three girls. In 2014, the class failed to attract any new pupils and after one of the girls left, the school dissolved the class. The only class teaching in Belarusian in Mahilyou faces the same issues. In 2010, a class was established with three pupils, yet in two years time only one girl remained. 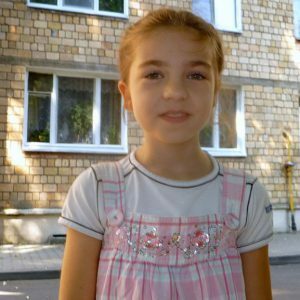 Her parents tried to find other pupils to study in Belarusian, but to no avail. A brief note: Mahilyou is the centre of a province (voblast') with 360,000 inhabitants and home to some of the national democratic opposition. As the Belarusian opposition increasingly embraces Russian-speaking, yet conspicuously anti-Russian political nationalism, the ruling elites are moving in the opposite direction. Lukashenka and his followers started by defending Belarus' economic, political and military interests against the Kremlin, sometimes out of purely egotistic motives. Now they have realised how powerful a political tool a national language and culture can be. Support for Belarusian alongside other similar developments – like the reconstruction of castles or installation of a monument to a mediaeval Belarusian ruler – demonstrate the authorities' attempts to put national statehood on a firmer foundation. Despite the gloomy assessments of many Western and Belarusian analysts and scholars underlining fragility of the Belarusian statehood, Belarus is developing towards becoming a full-fledged European nation. The first signs of private enterprise – kiosks at street corners- sprung up in Belarus in 1991 as soon as the country declared independence from the Soviet Union. These kiosks initially sold imported cigarettes, chocolate, coffee, tea, and cheap cosmetics. Later the assortment of goods began to include local produce and clothing. The authorities have tried limiting these kinds of private initiatives on multiple occasions, considering them to be unsightly and unsanitary. Due to state interference, small business accounts for only about 15% of Belarus’s GDP according to Belstat, the official government statistics agency. For the sake of comparison, in developed Western economies small business makes up to 60-70 % of the GDP and have become the main driver of employment and economic activity. 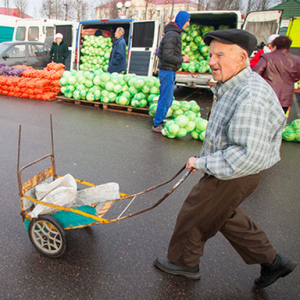 Today, about 90,000 small business entities are registered in Belarus, over a third of them in the retail sector. Photographer Siarhiej Leskiec visited micro-entrepreneurs selling foodstuffs at a market in the centre of Maladzechna, a city of 95,000.